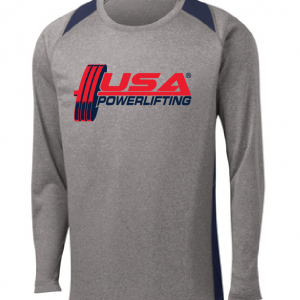 Welcome to our New USAPL eStore! 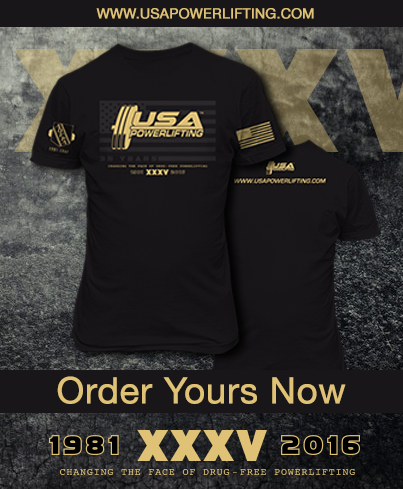 Home of your Official USA Powerlifting (USAPL) Merchandise. 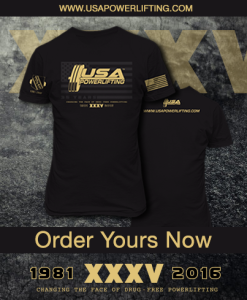 Let the world know what you do by wearing USAPL merchandise around town! Great way to start up a conversation, recruit workout partners and even gain sponsors! 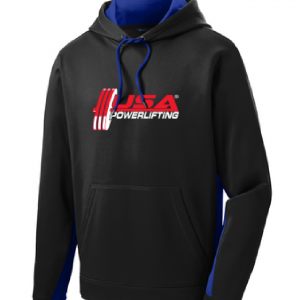 Thanks for being a part of the largest Powerlifting organization in the USA! 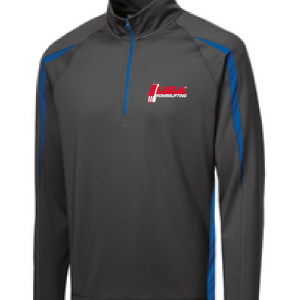 Ray Williams Signature Line $15 OFF! Ray Williams Signature Line $15 OFF! Purchase any item on the estore and Ray Williams Signature Line shirt and enter code: ray2017 at checkout and receive $15 off!